As for Russia’s intense objections to FYROM being admitted to Nato, Zaev said that the agreement is not directed against any other country and that its sole aim is to ensure peace and stability. 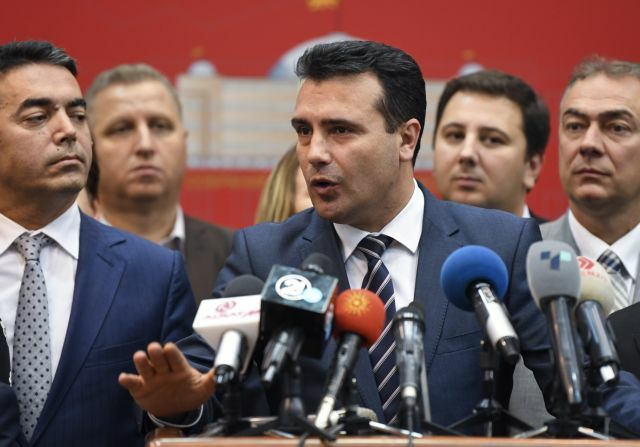 FYROM Prime Minister Zoran Zaev is trying to allay concerns and fears domestically and in Greece about the Prespa Agreement, which will change his country’s name to Republic of North Macedonia and remove irredentist references from the Constitution of FYROM. Zaev has offered assurances – in an effort to calm Greek fears of backpedaling – that the agreement cannot change in the future. Moreover, he denounced the specious links between the history of his country’s Slavo-Macedonian majority (the Albanian element is over 25 percent of the population) and Hellenistic antiquity, drawn by his ultra-nationalist predecessor Nikola Gruevski, who erected statues of Alexander the Great and renamed streets and the capital’s airport in his honour. Zaev said his country has paid a heavy price for that policy in the past (due to Greece’s refusal to acquiesce to Skopje’s Nato entry and EU accession talks) and that it will not repeat the same mistakes in the future. Despite President Gjorge Ivanov’s staunch opposition, Zaev expressed confidence that the constitutional amendments mandated by the Prespa Agreement will be definitively approved in the third and final parliamentary vote in the coming days. Zaev said that he and PM Alexis Tsipras ignored the heavy cost of passing the agreement – as large majorities in both countries oppose it – and concluded an agreement which will have only positive repercussions for both countries. He underlined that a change to one amendment, made after Greek remonstrance, clarifies that the accord refers to nationality (“Macedonian/citizen of the Republic of North Macedonia) and not ethnicity. As for the accord’s recognition of a “Macedonian language”, Zaev said that there is already a UN decision clarifying that FYROM’s language belongs to the family of South Slavic languages. 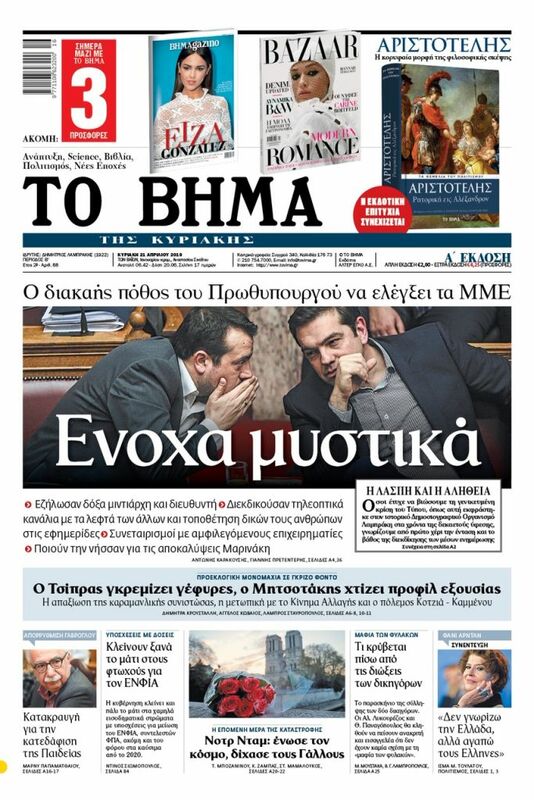 The main cause of the Greek public’s strong opposition to the accord is its recognition of a Macedonian nationality and language, because that could be used by Skopje in the future to pose an exclusive claim to Macedonian identity. The capital and territory of the ancient kingdom of Macedon was mostly within the territory of the modern Greek state, and residents of the Greek province of Macedonia identify themselves as both Macedonian and Greek. Indeed, Zaev intimated that his country could face existential threats if it is not anchored in Nato and the EU.